Jobs & Fellowships: NWIRP, AFL-CIO, Lavender Rights Project, Public Interest Firms, and more! 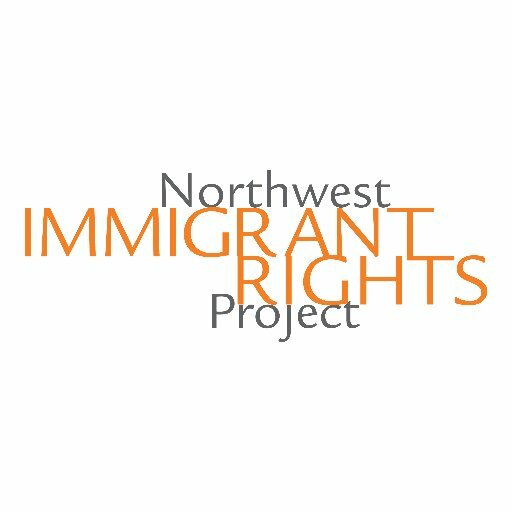 The Northwest Immigrant Rights Project will host a fellow over 17 months as part of the Equal Justice Works Crime Victims Justice Corps. The fellowship will begin on or about March 1, 2019 and end on July 31, 2020. The EJW Crime Victims Justice Corps is a legal fellowship program designed to increase capacity and access to civil legal help for crime survivors. A cohort of approximately sixty fellows are placed at nonprofit organizations across the country to provide direct representation to survivors of crimes, including human trafficking, fraud/identity theft, campus sexual assault, and hate crime, and immigrant survivors of crime with meritorious claims for immigration relief, and outreach and education to community partners. All fellows will incorporate crime survivors’ rights enforcement into their practice and will receive training from the National Crime Victim Law Institute and other training and technical providers. For additional information and application instructions visit here. Please submit applications ASAP. McDonald, Hoague & Bayless is seeking a full-time associate attorney to fight for the civil rights of workers, persons with disabilities, prisoners, tenants, victims of police misconduct and others. The associate will work with other attorneys at the firm on all phases of litigation from intake to trial and appeal. For further information and to apply visit here. Application deadline is February 22nd, 2019. Apply to be a summer intern with UW Student Legal Services. This is a paid, on campus position. One intern will work full-time during summer quarter 2019. This intern, plus six other incoming interns, will work 10-12 hours per week from autumn quarter 2019 to spring quarter 2020. Applicants must be “Admission to Practice Rule 9” eligible by beginning of employment. For further information and to apply visit here. Applications will be reviewed beginning on February 8, 2019. The Legal Department of the American Federation of Labor and Congress of Industrial Organizations (AFL-CIO) is offering a one year fellowship beginning in September 2019. The fellowship offers an excellent opportunity for recent law school graduates to work with experienced union-side lawyers on a wide variety of issues. To apply visit here. Application deadline is February 28, 2019. 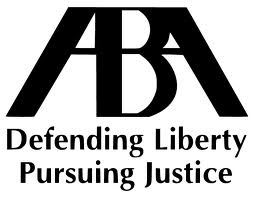 The Curtin Justice Fund Legal Internship Program, managed by the ABA Commission on Homelessness & Poverty, seeks motivated law student interns to apply for stipends available for the Summer Program. These students should have a position offered, contingent on funding, from a qualified organization. The Program will pay a $3,500 stipend to three law school students who spend the summer months working for a bar association or legal services program designed to prevent homelessness or assist homeless or indigent clients or their advocates. For complete information and application visit here. Application deadline is March 30, 2019. Columbia Legal Services seeks a full-time Legal Fellow to work for its Working Families Project in Yakima, WA. This position will provide systemic, multi-forum legal advocacy to advance a broad range of legal issues affecting farm and other low-wage workers and their families in Washington. The position will focus primarily on employment, as well as related civil rights matters and access to equal opportunities in our communities. The Lavender Rights Project seeks a full-time staff attorney to serve low-income transgender, gender non-conforming, queer, and LGB+ people in Seattle and across Washington. The attorney will assist with a wide variety of legal needs ranging from direct representation in family law, employment, civil rights, and other legal areas to identity-related needs such as name and/or gender marker changes and sealing records. LRP aims to bring someone onto its small and dedicated team whose values align with the organization’s commitment to intersectional awareness, cultural competency, accessibility, by-and-for services, and creative community legal solutions for marginalized communities. For additional details and application instructions visit here. Application deadline is February 6, 2019. The Tulalip Tribal Court is a general civil and misdemeanor criminal court. The Judicial Clerk will draft orders, research motions, draft memorandum on discreet legal issues, participate in multi-disciplinary meetings for drafting of rules. The position may require confidential research on procedural or substantive Indian criminal justice issues. For additional information or to apply visit here. Espada Criminal Defense, a criminal defense law firm with clients across Washington state, seeks a summer legal intern interested in criminal defense. A summer internship at Espada provides a unique opportunity to work in a bilingual, high-stakes criminal defense firm fighting on the front lines in state and federal courts. This is a paid position. For additional information and application instructions visit here. ← Upcoming Events & Conferences!